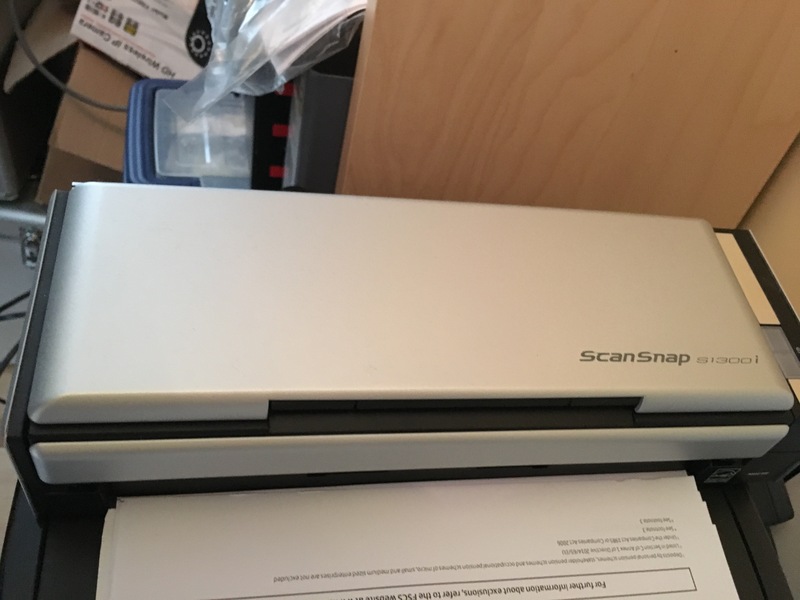 I’ve been planning to get a document scanner for a while now and it was a choice between Canon’s P225II or Fujitsu ScanSnap S1300i. 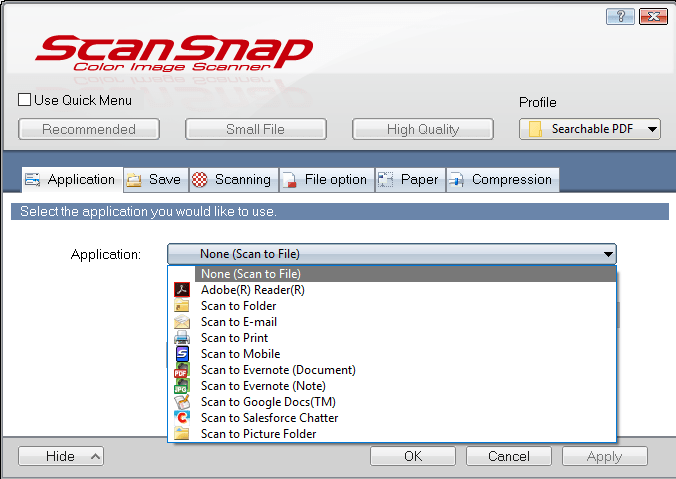 Fortunately one of them was discounted to make the decision easier – the ScanSnap. The device is approximately 5cm wider than a width of A4 paper. It folders down to just higher than ream of paper. 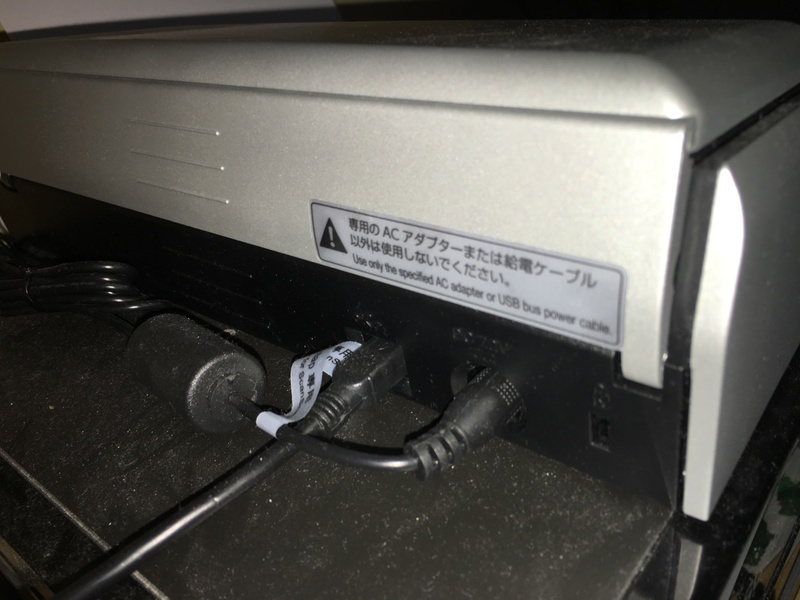 The UK version comes with EU and UK plugs and a chunky power brick which the cable plugs into. Another down side is the USB cable is a micro instead of the mini connector type found on many EU compliant standard phones. It can be powered by USB but that’s an addition USB cable with one end you’d plug into your computer and the other goes to a barrel type power connector. This is not ideal in terms of portability. 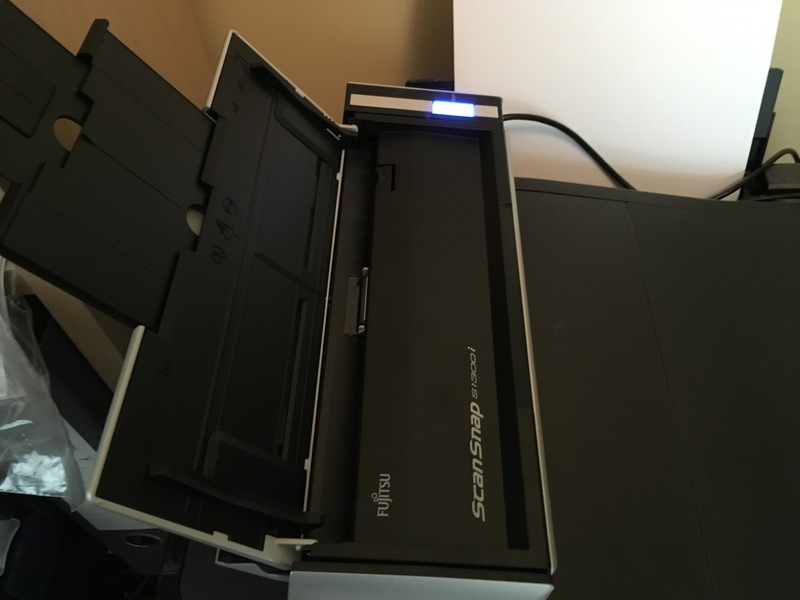 The paper feeder has a sensor so it can be set to turn on and off when the feeder is closed or open. A bright illuminated button tells you if it’s on or not. 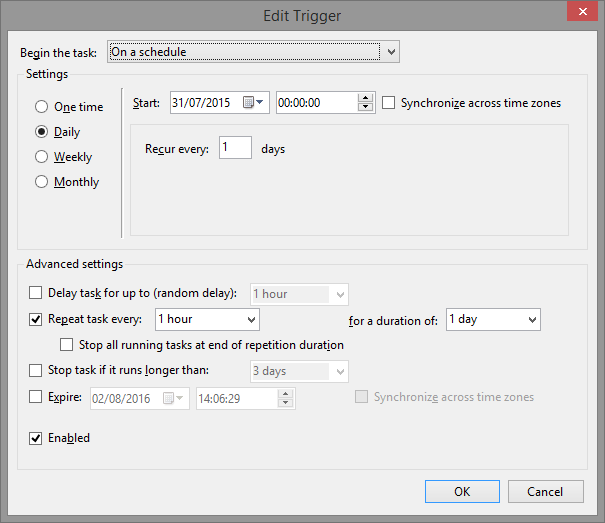 You can also set it to turn off after so many hours of no use in the software. Personally I find the styling out dated and the excessive use of plastic to be unappealing. Compared to the Canon I think the Canon would win the beauty contest. 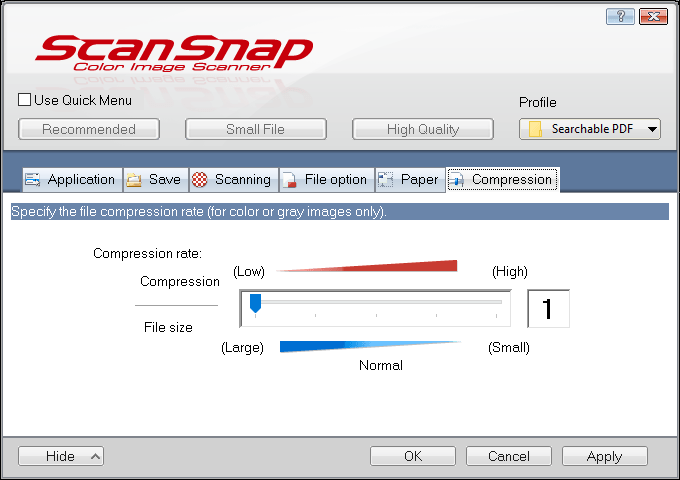 The Scansnap requires software to work. There are no memory on the device which again limit’s its use as a portable scanner compared to say Doxie. 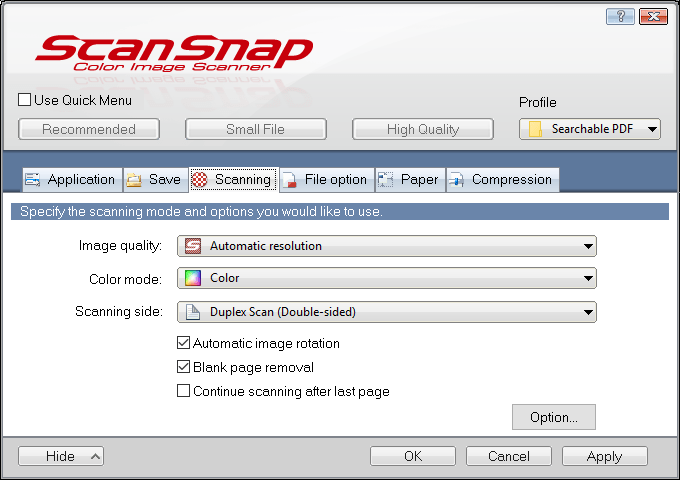 1 profile can be active at a time and it can be switched depending using the notification icon prior to scanning. This is a great time saver for setting your own presets and switching between them. 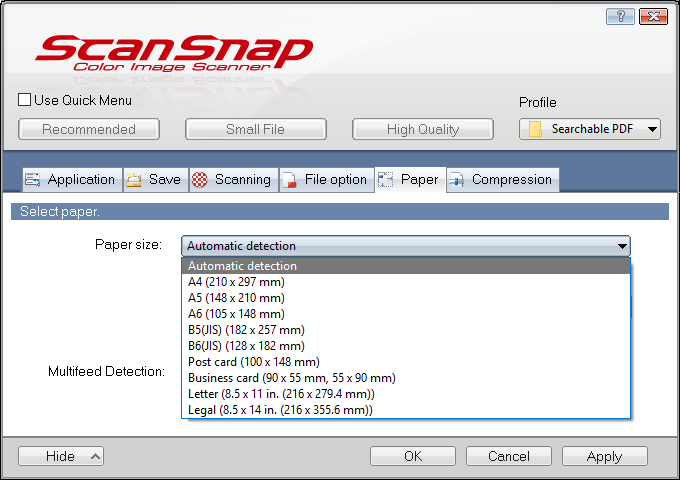 So far the scanner has been running well. I’ve used it on Windows 8 and 10 and the software and system works as per normal. 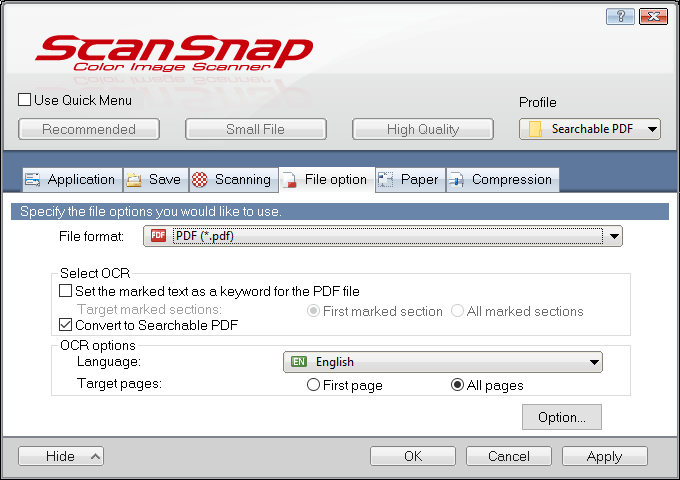 I’ve been able to scan close to 1000 documents, OCR’d into PDF probably for 1 whole day spread over couple of weeks of night time and weekend work. I.T software professional always studying and applying the knowledge gained and one way of doing this is to blog. Danny also has participates in a part time project called Energy@Home [http://code.google.com/p/energyathome/] for monitoring energy usage on a premise. Dedicated to I.T since studying pure Information Technology since the age of 16, Danny Tsang working in the field that he has aimed for since leaving school. 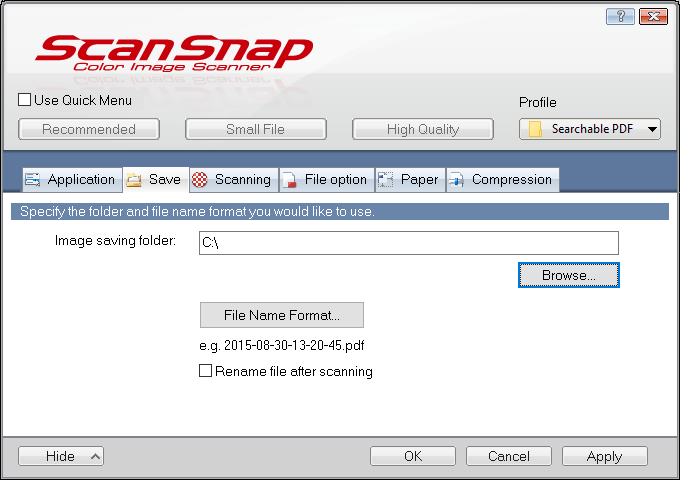 View all posts by Danny →	This entry was posted in Review, Windows, Workflow and tagged document, fujitsu, Scanner. Bookmark the permalink.